Serena Williams overpowered German Carina Witthoeft 6-2 6-2 to set up a third-round clash with big sister Venus at the U.S. Open on Wednesday. Williams sent down 13 aces and 30 winners to record her second consecutive straight-sets victory at Flushing Meadows. The 36-year-old hunting a record-equalling 24th Grand Slam title wrapped up the win in one hour and seven minutes. “It’s always such a great crowd at night. It’s just amazing to play in front of this crowd,” she said at courtside after her victory. 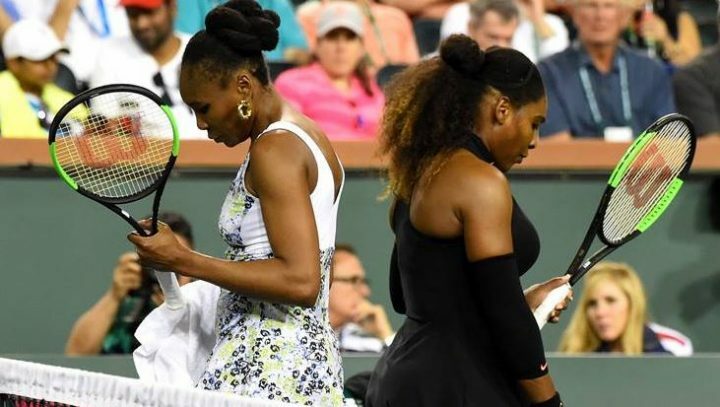 The last time the two sisters met at a Grand Slam was in the 2017 Australian Open final, where Serena prevailed in straight sets. “It’s obviously a tough match,” Serena added. “It’s so young in the tournament, but it is what it is. It’s not the end of the world. We would rather have met later. ”We’re both going to come out per usual and play our best in front of you guys. “Normally, I would say cheer for me. But, whoever you feeling — me or Venus will work,” she said.